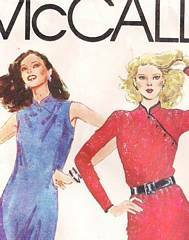 Vintage McCall's sewing pattern 6906 for misses' dress, tunic and pants. 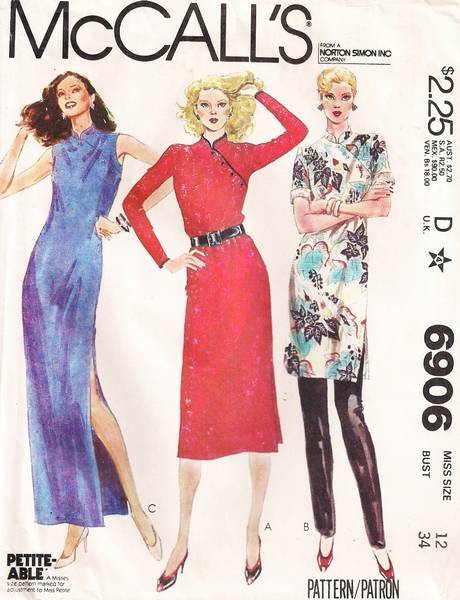 Pullover dress in two lengths or tunic has buttoned front closing, mandarin collar, left side slit and optional purchased belt. Full length sleeves with optional piping or short sleeves.